기사요약: 국방부가 24일 국회 보고에서 비무장 지대 감시 초소의 병력과 장비를 시범적으로 철수한다고 밝혔다. 이는 지난 4월 남북 정상회담에서 문재인 대통령과 김정은 국무 위원장이 "비무장 지대를 실질적인 평화지대로 만들자"고 합의한 것에 대한 후속 조치이다. 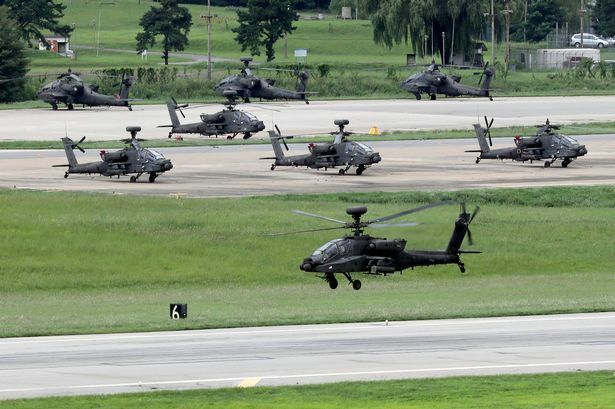 The Defense Ministry said Tuesday it will seek to withdraw troops and equipment from guard posts inside the Demilitarized Zone, pledging to transform the heavily fortified area into a symbol of peace between the two Koreas. In a briefing to lawmakers, the Ministry of National Defense said the withdrawal plan would be sought “on a trial basis” until the conditions are in place for a complete withdrawal, following environmental and historical research on the cross-border region. The ministry said the measure is part of efforts to implement the Panmunjom Declaration made at the inter-Korean summit on April 27. President Moon Jae-in and North Korean leader Kim Jong-un agreed to cease all forms of hostilities and replace the current armistice with a peace agreement. 기사요약: 남북이념 갈등에 대해 다룬 소설 '광장'의 작가 최인훈이 지난 23일, 암투병끝에 세상을 떠났다. 이에 정부는 24일 최인훈 작가에게 금관문화훈장을 추서했다. The government on Tuesday bestowed the late novelist Choi In-hun with the Geumgwan Order of Cultural Merit, the highest class of its kind, for his contribution to Korean literature. Minister of Culture, Sports and Tourism Do Jong-hwan visited the funeral parlor of the late writer at the Seoul National University Hospital to offer condolences to the bereaved family and present the medal on behalf of the government.